What We Did Next is a group producing great theatre for and by the community of Liverpool. It sprang up in the summer of 2008 from the realisation that the central Liverpool community had no focus to gather around in order to put on great musicals specifically, whilst having a rehearsal schedule that fits around people’s busy lives and also aiming to provide a vibrant social scene. Since our inception we have expanded into original writing, workshopping scripts and straight drama pieces. 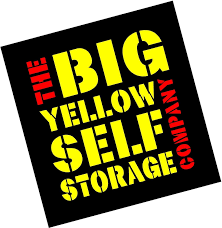 Storage for home & business.